About 35% of Ethiopia’s GDP comes from the coffee industry, employer of 20 million people. There are between five million and eight million people living in Addis Ababa. There are a million people on the social housing waiting list in Addis Ababa. Ethiopian Airlines is the Africa's largest. Celebrated Africa correspondent Lee Kasumba is travelling around Africa to explore its business opportunities and investment potential. Click or tap here to follow her journey. The Money Show’s Bruce Whitfield interviewed Kasumba, while she’s in Addis Ababa, Ethiopia’s bustling capital. Kasuma discussed Ethiopian airlines, Africa's most successful. Listen to the interview in the audio below (and/or scroll down for more quotes from it). 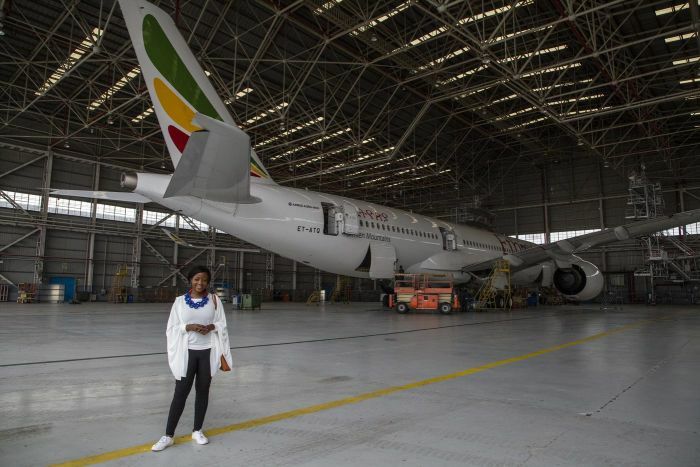 Ethiopian Airlines is the only profitable airline in Africa. 80% of people who fly in Africa use international carriers. Enjoy The Money Show, but miss it sometimes? Small business guru Pavlo Phitidis advises on dealmaking and succession from founder to successor through a management buy-out. What is the best financial gift you can give your children? Personal financial advisor Warren Ingram has a few answers. Simon Brown on why is Shoprite wants shareholders to approve paying R3.3bn to Christo Wiese for his high-voting shares. The Labour Registrar wants to deregister Amcu. Ray White interviews Phetheni Nkuna, a Senior Associate at Hogan Lovells. The Money Show’s Bruce Whitfield interviews Lee Kasumba, who is in Addis Ababa, Ethiopia’s booming capital city. Bruce Whitfield interviews renowned broadcaster Lee Kasumba, who is in Addis Ababa, Ethiopia’s booming capital city. Ever dreamt of just doing it? You may want a few pointers from someone who did. Meet Callan Williamson of Tortilla Modern Mexican. Khabazela shares what has kept social media abuzz on What's Gone Viral. Khabazela shares tweets and Facebook posts that have gone viral. Cape dam levels drop to 52.2%. Find out more about how to save water. Good to Know gives subscribers insights into the most common mistakes made by consumers in South Africa. BIG NEWS: Monsters are headed to the mother city. Eureka Movement founder Adriaan Nieuwoudt said black economic empowerment was implemented at the expense of white South Africans. The water and sanitation department said while dam levels were rising due to heavy downpours, the levels would only be sustainable depending on the rate of consumption.